The Susan M. Ingal Memorial Scholarship fund is being established for a graduating 8th grade student from the Harding Township School in New Vernon, New Jersey. 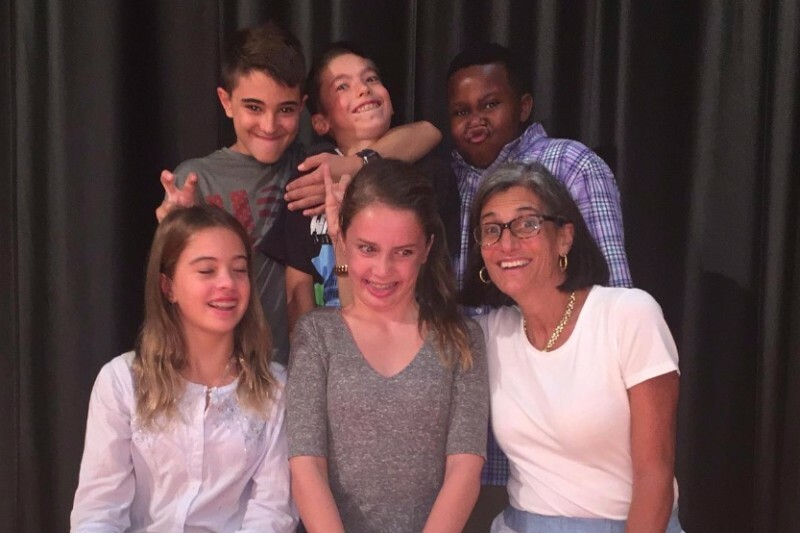 The memorial fund is being created in memory of Ms. Ingal, an outstanding teacher who taught at the Harding Township Middle School in the special education department for 19 years. She was a presence throughout Harding Township School and was tirelessly devoted to her students’ success. It is in honor of her selfless dedication and steadfast devotion to the children of Harding Township School that this memorial scholarship fund is being established. The funds being raised will be awarded on an annual basis to one graduating 8th grade student of Harding Township School. The scholarship will be awarded to a student who has overcome adversity in pursuit of academic excellence, and has worked diligently to succeed in meeting his or her educational goals and objectives. The Scholarship will be awarded upon graduation from 8th grade but remitted to the student when he/she is graduated from high school and in anticipation of attending college. Your donation will go a very long way in assisting one deserving student as he/she embarks upon a new and exciting chapter in their lives. The Harding Township School and the family of Susan M. Ingal are grateful for donations made to this worthy cause. I am pleased to inform you that we have presented the first annual Susan M. Ingal Memorial Scholarship to Mika Leshem. As you know, Susan taught at the Harding Township School for 19 wonderful years. This scholarship was established to honor her memory and is to be awarded on an annual basis to a Harding student who has overcome adversity in pursuit of academic excellence and has worked diligently to succeed in meeting his or her educational goals. We are so pleased that Mika is the first recipient of this scholarship. Mika was a student in Susan’s class in 8th grade at Harding. Susan spoke of Mika often and, while she enjoyed all her kids, she was particularly fond of Mika. She admired how hard she worked, as well as her dazzling personality. By all accounts, Mika performed beautifully at Madison High School. There, she earned varsity letters in soccer and basketball, all while managing an extremely rigorous academic course load. Mika plans to attend Montclair State University this fall. I am certain that Susan would be particularly pleased with the fact that Mika has decided to become an educator herself. On behalf of my family, I would like to again thank you for your support. I know I speak for all as we wish Mika a successful and fun-filled college career. Thank you to all for your incredible support of this campaign thus far. For those who have donated either through this page or by check prior to the launch of our digital campaign, your generosity has truly been felt throughout these past weeks. In just a few short days we have made incredible progress as a result of your kind donations. It is because of all those who cared for and loved Susan Ingal, that we are closer and closer to our target goal of $50,000. Please continue to honor the memory of Ms. Ingal and support the children of Harding Township School by spreading the word about the campaign and sharing the link with friends, family and professional contacts. On behalf of the family of Susan Ingal and the children and faculty of Harding Township School, thank you again for your overwhelming response. Good luck tomorrow and with the full marathon!